She's cute, but her breathing troubles aren't. They’re cute, wiggly, tiny—and they can develop some significant breathing issues. 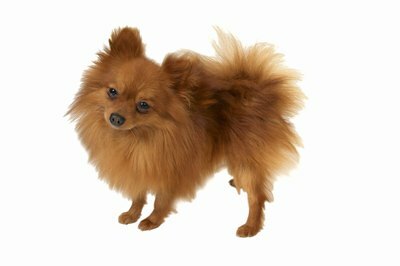 “They,” of course, are Chihuahuas and Pomeranians, smaller dogs vulnerable to health conditions. If one should strike your beloved little pooch, you have to know what her symptoms mean and how to help her. Should you suddenly hear an odd “goose honk” cough coming from your Chi-pup or Pomeranian, respond immediately. This is one audible symptom of a tracheal collapse. Her cough will sound like the honking of a goose because she can’t get air in through her trachea. Look for additional symptoms, such as wheezing, gagging and a bluish tinge to her gums. Get her to the vet immediately for diagnosis and treatment. He can prescribe medication to reverse this condition. The symptoms for both dog breeds are the same. When you hear the “goose-honk” cough, this should tip you off to a potential trachea issue. Any dog can sneeze, especially when she’s gotten a snort of something that irritates her nostrils. But if, as is unfortunately not uncommon with Chihuahuas, her soft palate is formed incorrectly, when she sneezes she’ll again make that goose-honk noise. Alarming as it seems, it’s not dangerous. Massaging her neck and throat can help end the attack. Encouraging her to lick her nose, distracting her by suddenly clapping your hands or pinching her nostrils shut with your fingers can help her get over this attack. Your Chi-pup is more vulnerable to colds because of the shape and small size of her nasal passages and eyes. If you notice any discharge from her eyes and nose, call your vet for advice. He can tell you how to treat her symptoms. Because your Chi-pup is also at risk of wheezing, it’s important to start treating her cold symptoms immediately. (See Reference 7) Additional cold symptoms might include lethargy, sneezing, coughing, decreased appetite and a fever. Several factors can lead to a tracheal collapse. These include nutritional, neurological and genetic issues. If your Pomeranian or Chihuahua was born with musculoskeletal abnormalities, he might begin to show symptoms of breathing problems. If your pooch tries to avoid exercise, gags, wheezes and hacks, he may have a problem that needs to be diagnosed right away. In severe cases, your dog’s skin begins to look blue and he might faint. Cases of severe tracheal collapse are more common in overweight dogs, so good weight maintenance is vital for these breeds. Humid, hot weather makes this condition worse. What Does a Cat With Pink Paws Mean?